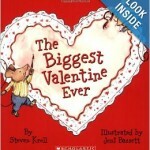 Description: This adorable little eBook offers a nice description of feelings and what happens when we express them. Create a “Feeling Throughout the Day” chart. Along the left side of a page place symbols to represent waking up, getting ready for school, riding the bus, being in the classroom, playing at recess, etc. Then next to each of these symbols, have the kids brainstorm how they felt that day during each of these times. 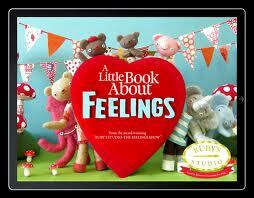 This gives kids a chance to realize how many different feelings we experience each day. Looking for symbols to use for this project? Try downloading some from LessonPix. Play Feeling Charades: Make a stack of cards with action words (jump, tiptoe, skip, etc) and another with feeling words. Have each child pick a card from each pile, act them out and see if friends can guess the action and the feeling. Watch out for angry tiptoers! For children who have difficulty identifying emotions through facial expressions, try introducing them using the Emotions app from Alligator apps. Then have them use a mirror to try to copy those expressions. Play Match the Feeling – Tell a story with a very obvious emotion attached (something sad, scary or exciting). Encourage the children to “match” their facial expression and body language to that of the story. For Valentine’s Day, have the kids generate a list of words that express positive emotions; such as loving or liking someone. 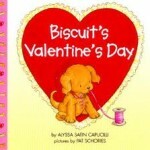 Use these words to make special Valentine’s Day cards. Add these words to this adorable craft we found on Pinterest from Family Fun magazine. The hand says “I love you” in sign language :). Discuss the places in our bodies where we feel some negative emotions – our hearts beat fast, our tummies feel tight or sick, our mouths feel dry, and so on. Then discuss how our bodies feel once we have expressed those feelings and they have been understood by someone else – our hearts slow down, our tummies feel better, our mouths feel normal, and so on.